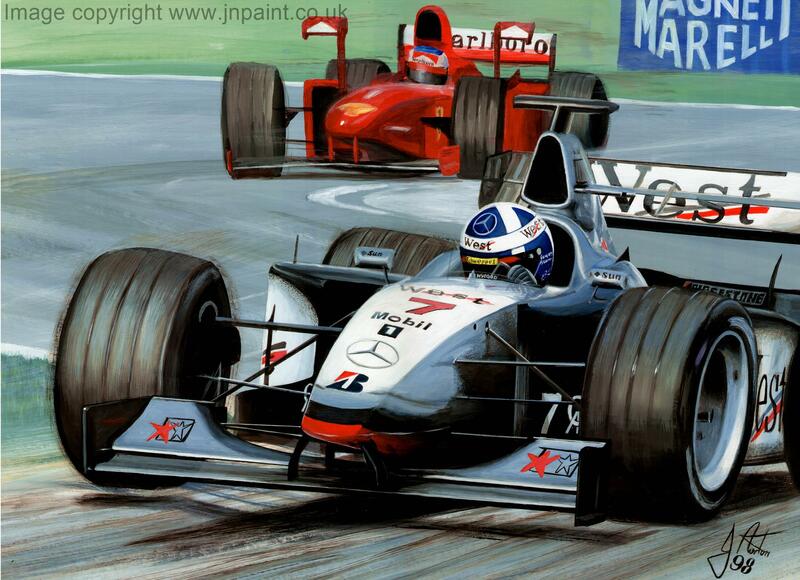 Micael Schumacher and Damon Hill battle for the lead at the Belgian Grand Prix at Spa in 1995. 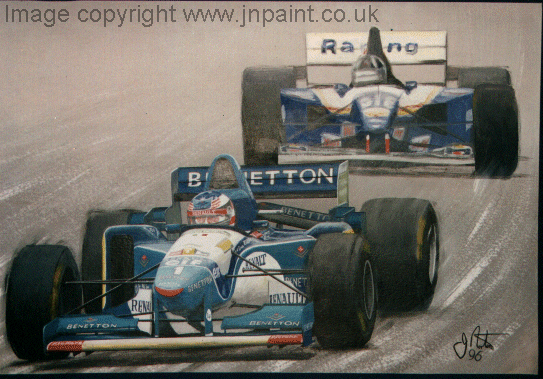 Schmacher took the place despite being on slicks on a very damp track whilst Hill had more suitable tyres. 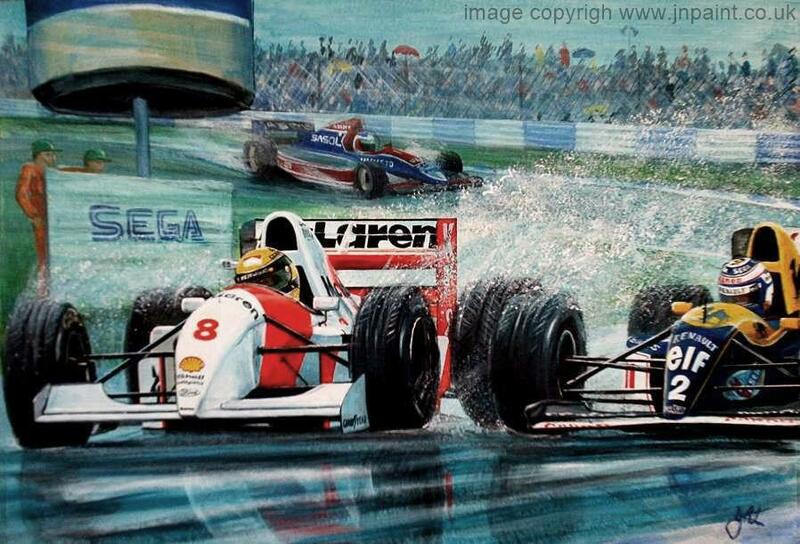 Ayrton Senna leads Nigel Mansell in the very wet Australian Grand Prix of 1991. 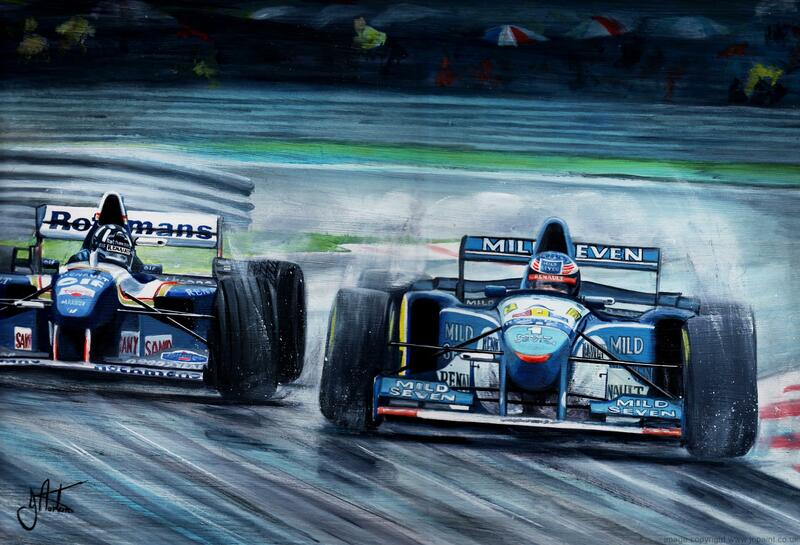 Michael Schumacher leads Damon Hill through the foggy conditions at the Nurbirgring during the European Grand Prix of 1995. 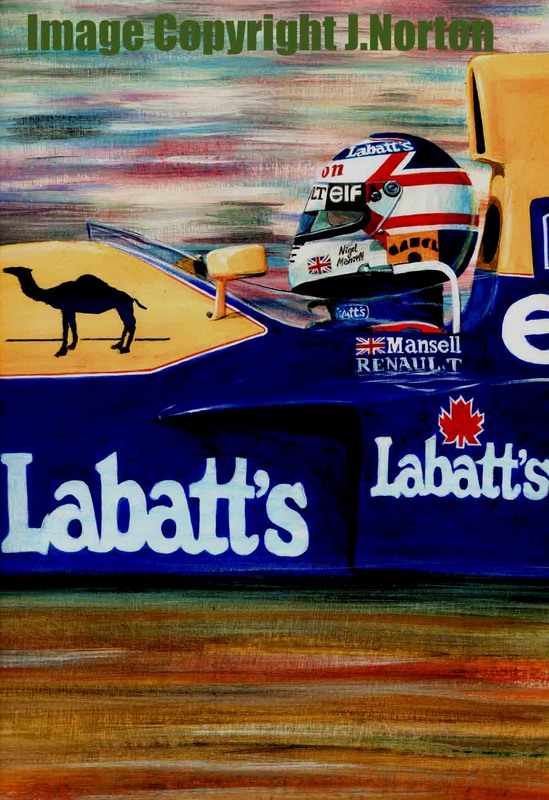 The original painting is available at £150.00 mounted behind dove grey and navy boards. 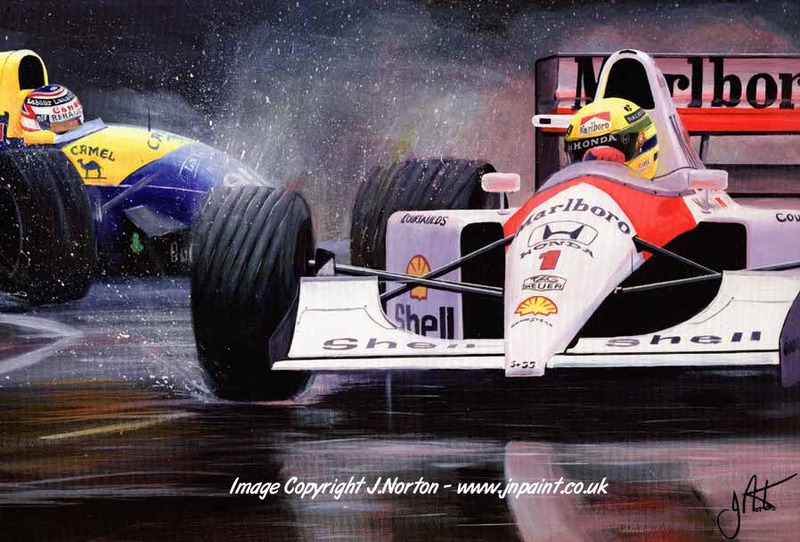 The original painting is sold and no prints are available. 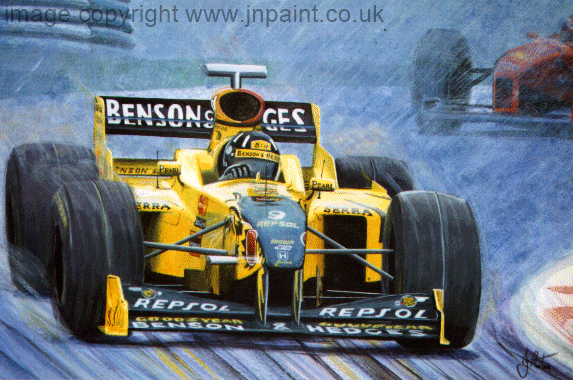 The original painting is available at £180.00 mounted behind a champagne coloured board.